2005 GIVING BACK: I am committed to giving back to the industry and community where I live and work. The company name says a lot about the way we conduct business. At Integrity Builders we believe mistakes are minimized with proper planning and supervision. We take care to research each home plan and the materials to be used before we turn a spade of dirt. We are committed to staying up to date on current technologies so we can continue producing efficiency, comfort, and value for our customers. I am a native Missourian with a degree in Business Management from Tulsa University. I’m married and have two wonderful children and three special grandchildren. After graduation I had a five great years with Aetna Life Insurance Company as a group representative where I was able to further my financial interest. I held a NASD and three state securities license while with the Aetna. After leaving The Aetna in 1970, I continued my financial career in the mortgage lending business and later joined a large local developer in charge of project development and project financing. I took an immediate interest in all areas of real estate and decided to start my own firm in 1975. In 1985 we decided to forego the windy, cold and unpredictable Oklahoma weather and moves to Cary, NC and started a new building company. Being an avid golfer, we naturally had to find out about Pinehurst. In 1999 we decided why wait, and moved to Pinehurst with thoughts of retiring. I quickly discovered that retirement wasn’t for me, so I started Integrity Builder of The Sandhillls. Over the years I have built several Pro-to-type structure in an on-going commitment to build sustainable, energy efficient homes. Passive Solar Envelope House in 1979. This 2800 square foot home for a family of 4 had a total energy cots of $78/month. Passive Solar home in Raleigh build to the standards established by North Carolina State University that had an average energy cost of only $50-$60/month, but only a family of two. 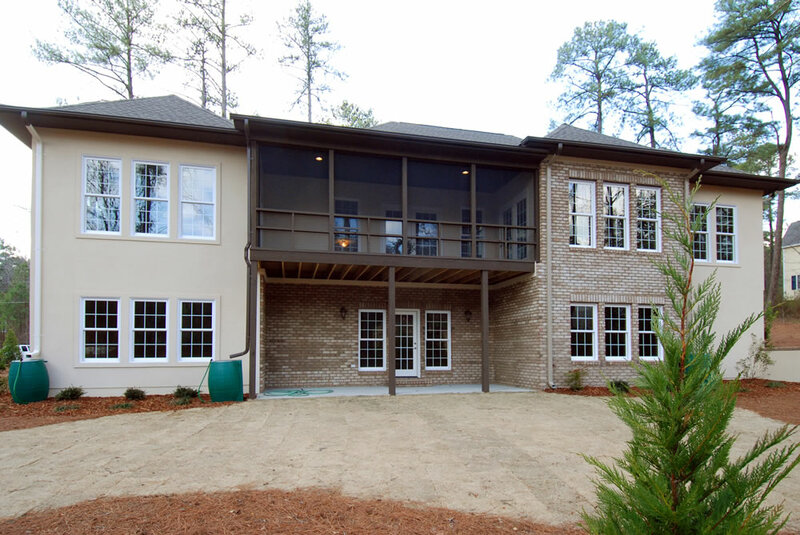 Passive/Active Solar home in Raleigh for the then president of the International Solar institiute. A man I consider to be an absolute authority on Solar. Planning to build or not, just contact us and we will freely give you advice and guide you along your journey.